Nanzenji is a temple located at the foot of Mount Higashiyama in the eastern part of Kyoto and is the headquarters of the Nanzen-ji branch of the Rinzai sect of Zen Buddhism. 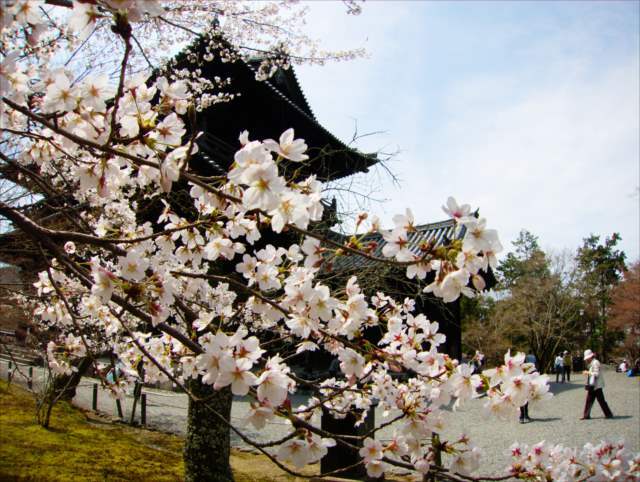 The temple was founded by Emperor Kameyama in 1291 and is said to be of the highest status amongst all Zen temples. As you enter Nanzenji temple, you will soon catch the sight of Sanmon (Gate of the Three Liberations), which serves as the temple’s main entrance. It is a 2-story building and is about 22 meters high. Because of its overwhelmingly massive and powerful appearance, it is also called Tenka Ryumon (The Greatest Dragon Gate on Earth). 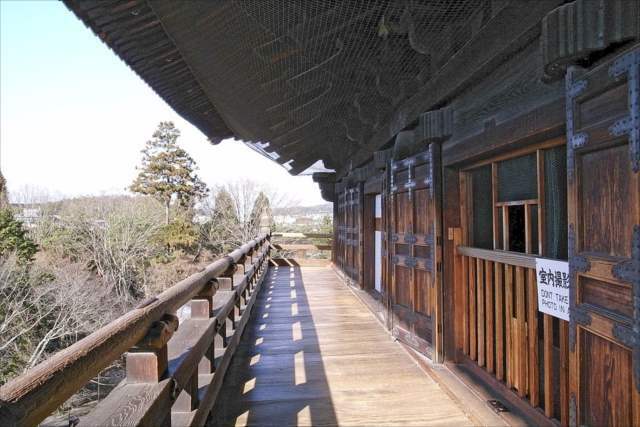 Visitors can climb up this Sanmon and enjoy the magnificent view of the woods in Nanzenji temple in the center, with the city of Kyoto spread out in the background. There is a hojo (abbot’s chamber) built in the inner part of Nanzenji temple, and it is divided into Ohojo and Kohojo. Ohojo (large abbot’s quarters) was brought over from the Kyoto Imperial Palace and reassembled here, just as Kohojo (small abbot’s quarters) was brought over from Fushimi castle. 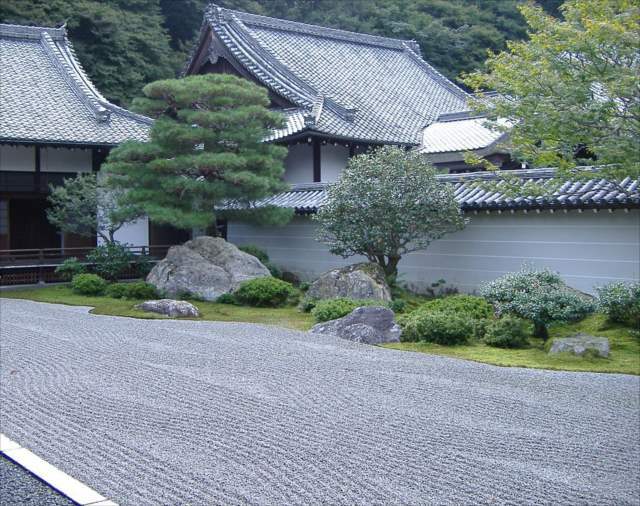 Ohojo’s front garden is arranged as a karesansui (Japanese rock garden) attributed to Enshu Kobori. 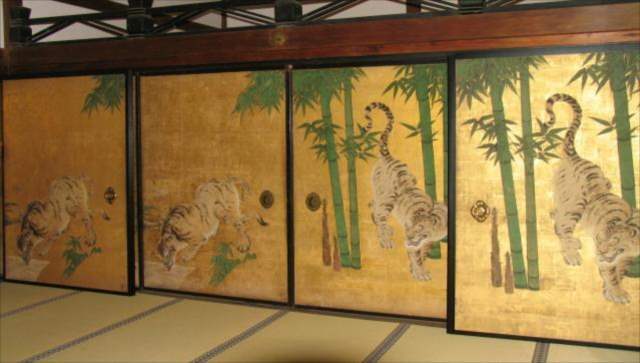 And in Kohojo, there are 40 papered sliding doors, on which is drawn the fusuma painting “Gunkozu,” attributed to Tanyu Kano. In the Meiji era, a waterway was constructed from Lake Biwa to the Higashiyama district. A part of it runs through the grounds of the Nanzenji temple. 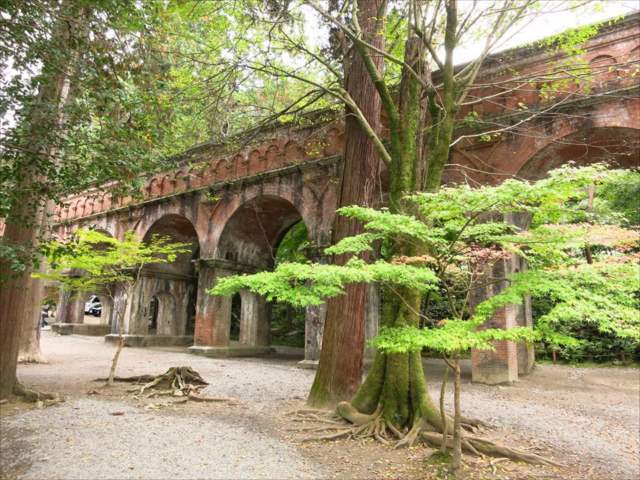 The arched aqueduct in Nanzenji is 4 meters wide and 9 meters high and blends with the quiet scenery of Mount Higashiyama. At the time the aqueduct was made, some locals opposed it, believing it would spoil the scenery of the ancient landscape. However, nowadays, this newly added structure has become a very popular spot and was even incorporated into the filming of TV dramas. There are many Yudofu restaurants in the area around Nanzenji temple. Yudofu originated from Shojin ryori, the cuisine of Buddist monks. 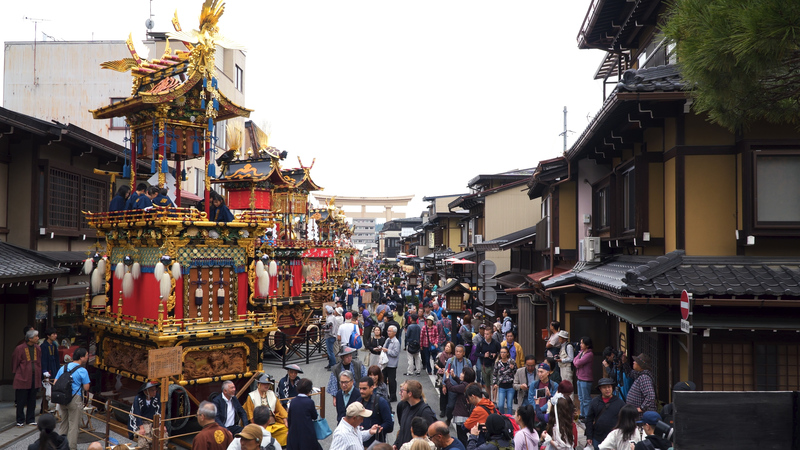 Since Higashiyama has been blessed with a vein of groundwater, the water has been actively used to make tofu. 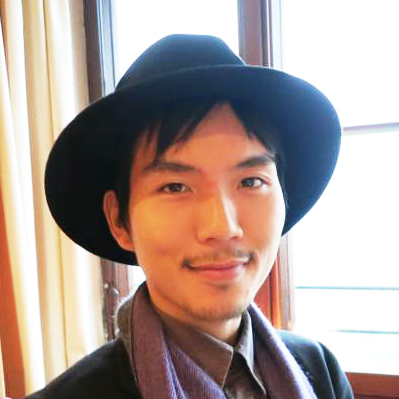 The handmade tofu dishes are suffused with the rich taste of Kyoto gourmet. Nanzenji is a temple located at the foot of Mount Higashiyama and is the headquarters of the Nanzen-ji branch of the Rinzai Sect of Zen Buddhism. While there are historic buildings, such as hojo (abbot’s chamber) and Sanmon (the Gate of the Three Liberations), the temple also has a modern aqueduct, which runs through the precinct of the temple. 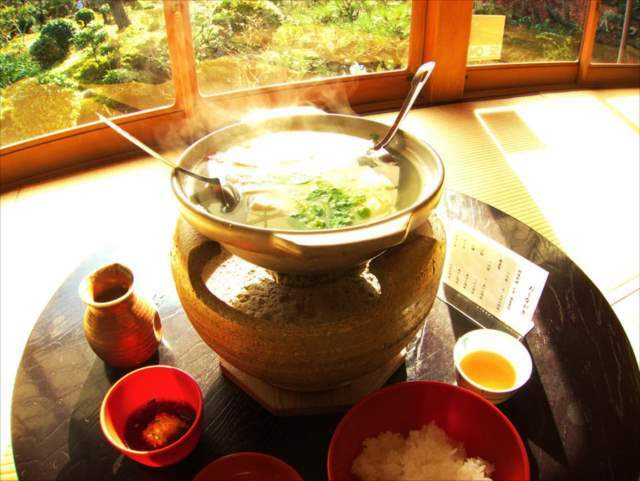 You can also enjoy the culinary culture of Shojin ryori (Buddhist cuisine). Nanzenji temple is both old and new and even has Kyoto gourmet. 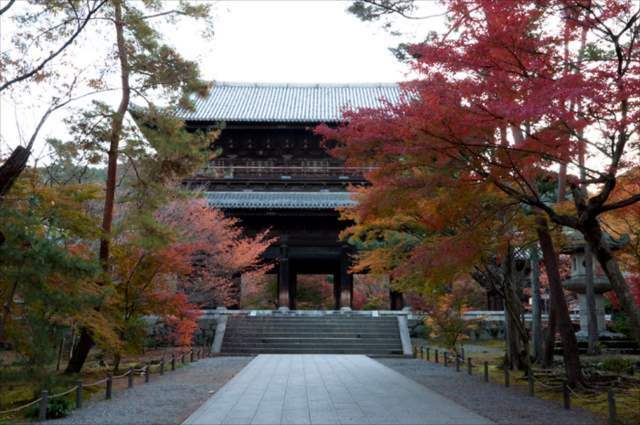 This temple possesses all the virtues of Kyoto.